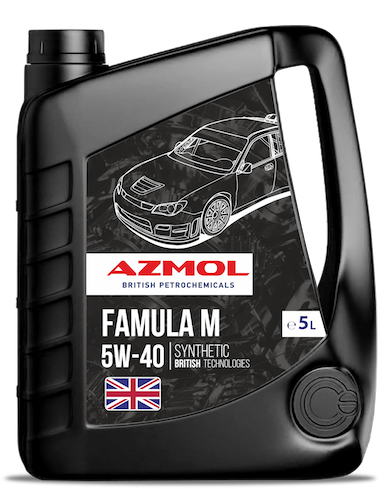 AZMOL Famula M 5W-40 – fully synthetic all-season engine oil developed for modern high-pressure turbodiesel injection engines. Designed for diesel engines of trucks, buses, special and off-road vehicles with exhaust gas recirculation (EGR) and cleaning systems using diesel particulate filters (DPF) and catalytic converters (DOC). Provides high pumpability at cold start. It has optimum viscosity over a wide temperature range. Applicable also for gasoline engines. increased ability to neutralize acids throughout the life of the oil.